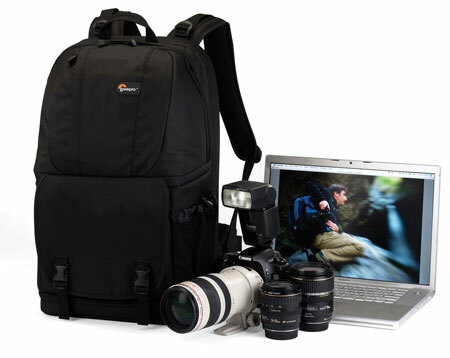 LowePro Classified 160AW – This bag is a shoulder bag that will handle a DSLR with a 70-200mm lens, 1-2 extra lenses and a flash. 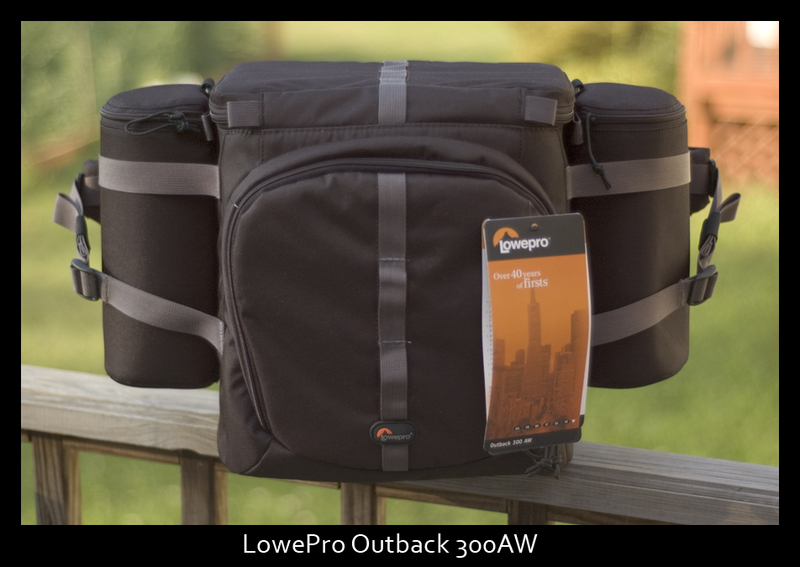 LowePro Outback 300AW – This bag is dubbed a ‘beltpack’. 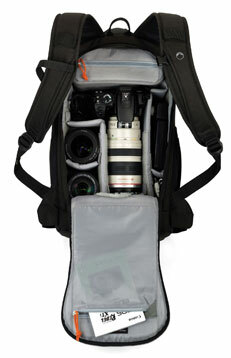 It will hold the same camera and lens as the Classified, but also has room for 3-4 lenses and a flash. I am off to try them both out and will have a report for you in a few weeks! See ya soon! 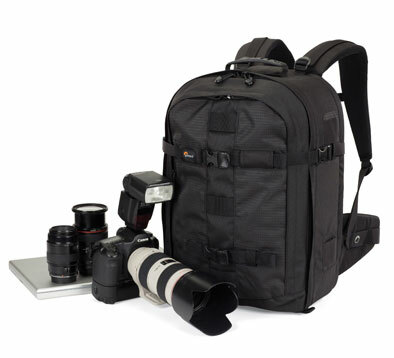 After my review of the FlipSide 300, the folks at LowePro sent me the FastPack 350. 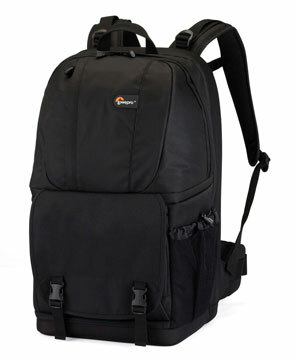 The FastPack 350 is a bit larger and has some extra storage space. It also has room for a 17 inch laptop. You might recall that in my review of the ProRunner 450AW, I had a difficult time fitting my laptop in. 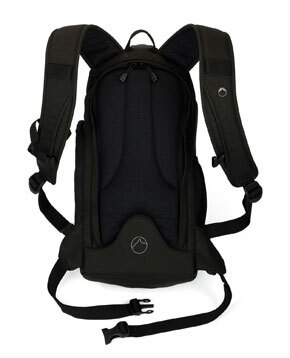 This was not the case with the FastPack 350. My laptop fit in much easier. 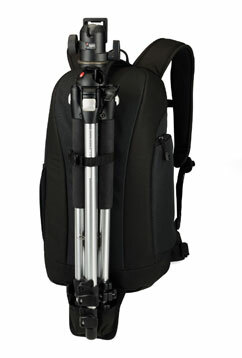 The FastPack 350 is set up a little differently than most camera bags I have used before. 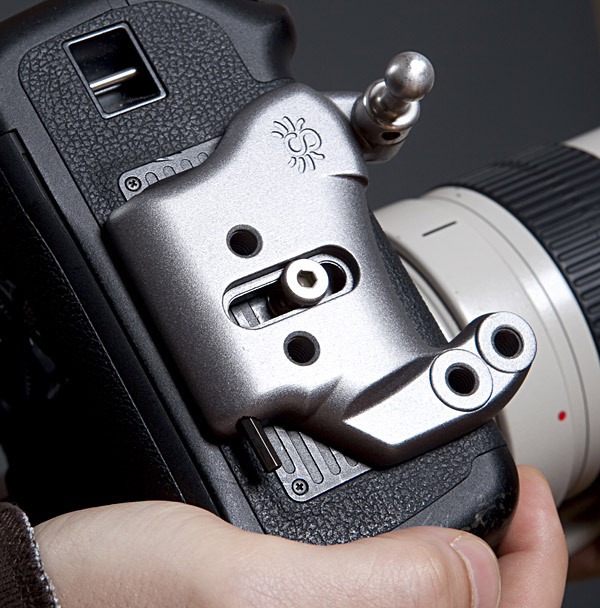 Your camera equipment goes in the bottom of the bag, and that section opens to the side instead of from the top. 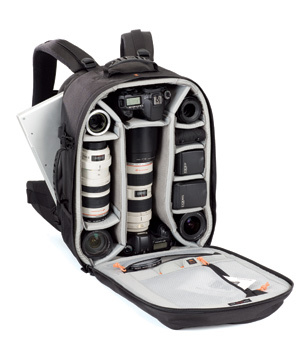 Inside this area, you can store a DSLR with with a 70-200mm lens attached, along with 2 or 3 extra lenses and a flash. There are also two velcro pockets that can hold memory cards. 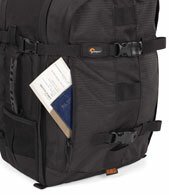 Along the side of the bag, you will find a long zipper that opens to provide storage for up to a 17 inch laptop. As I mentioned earlier, my HP 17 inch laptop fit in there with no problem at all. The top portion of the bag opens to reveal a rather large storage area. Inside that storage area, there is a removable zippered pouch that will hold any extras you may be carrying with you. 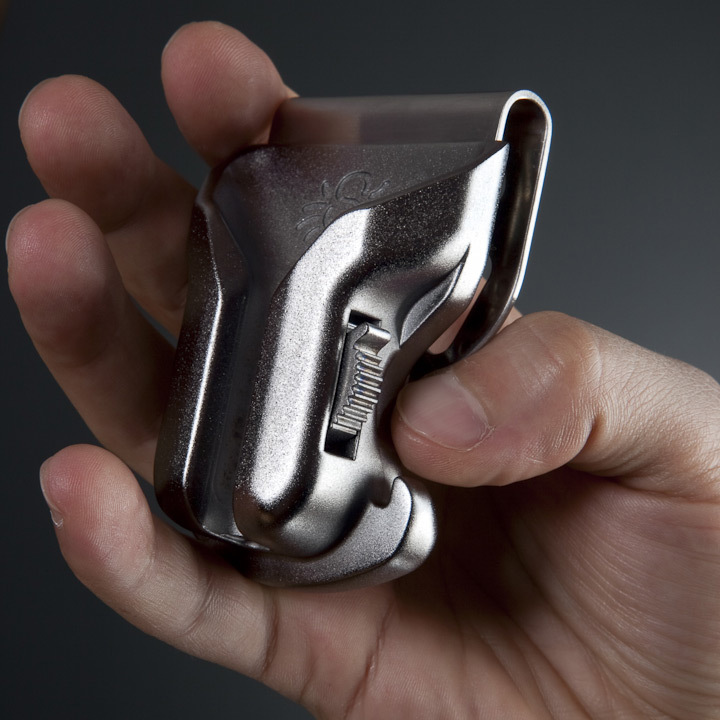 The storage compartment also has two velcro pockets that are great for holding extra batteries and remotes. Along with these pockets, there are pen holders, a mesh pouch and a clip for your keys. 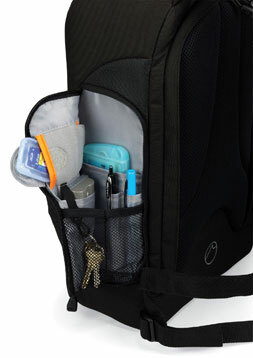 On the outside of this compartment, there is a zippered pocket that leads to even more storage space. This bag has quite a bit of room! 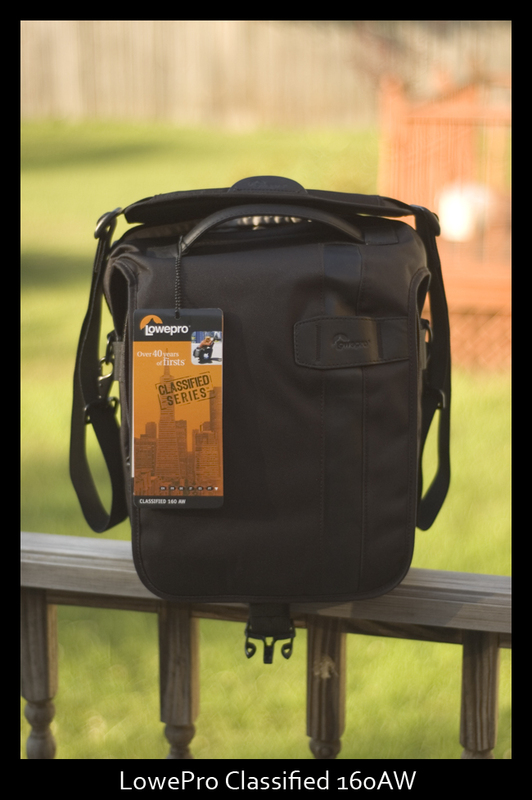 Just like the other bags I have tested for LowePro this bag has ample padding on the shoulder and waist straps, as well as the back area. When I was wearing this bag, it was comfortable and did not feel like it was too heavy. I even took it on the motorcycle one day just to try it out. 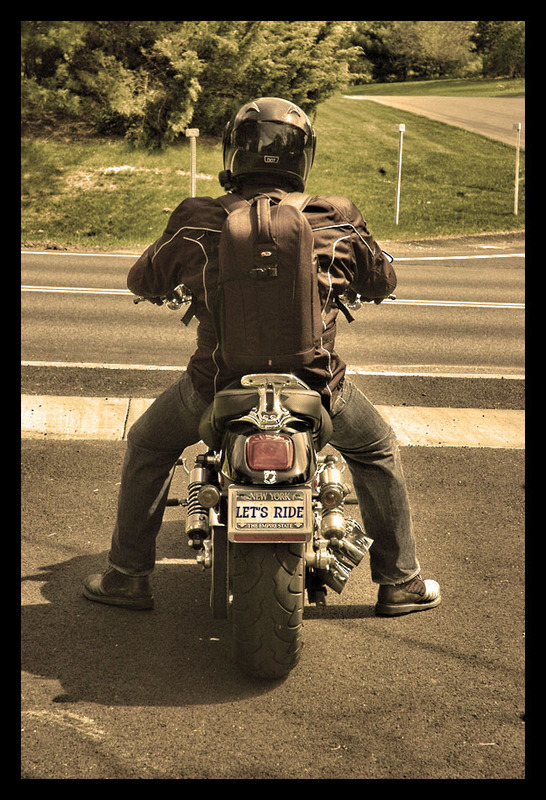 It worked just fine on the bike, although I did not have my laptop in tow. 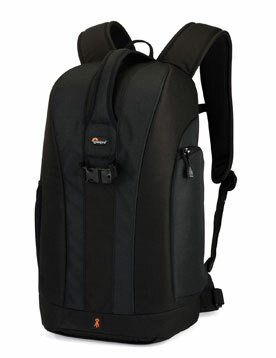 Go all day with the lightweight, comfortable Fastpack 350 backpack. 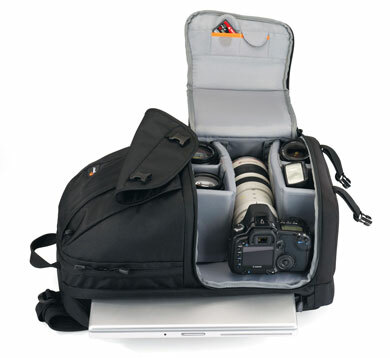 It protects your pro digital SLR and 17″ widescreen notebook compactly while providing generous storage for other gear. Side-entry compartments let you quickly grab equipment and accessories, even while you’re on the move. 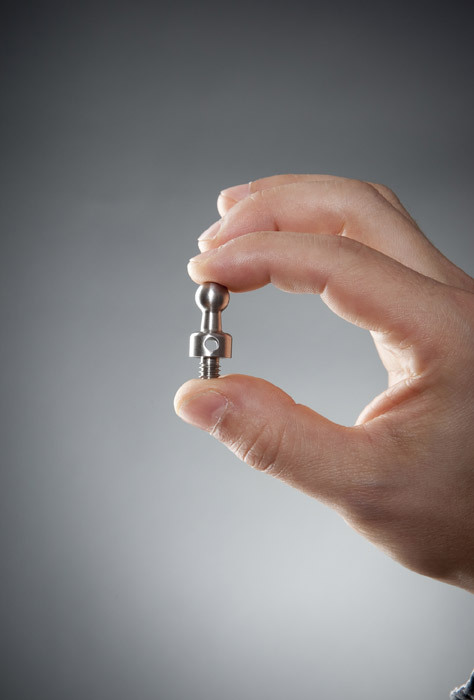 Customize the easy-to-access main compartment with adjustable dividers. 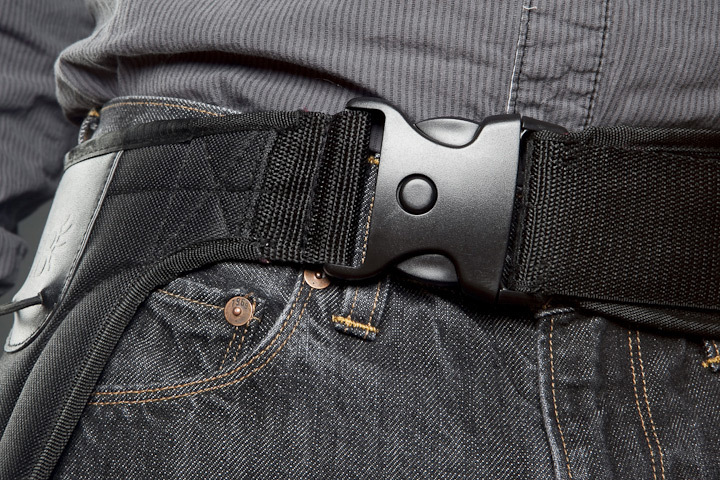 A comfortable mesh waistbelt, and an adjustable sternum strap, help distribute weight evenly. 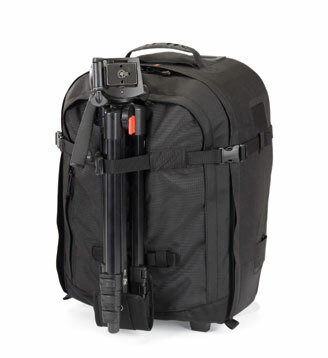 To help you make the most of this Lowepro bag take a look at our new product video. 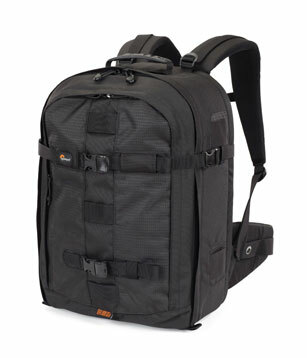 This has been yet another great bag from Lowepro. 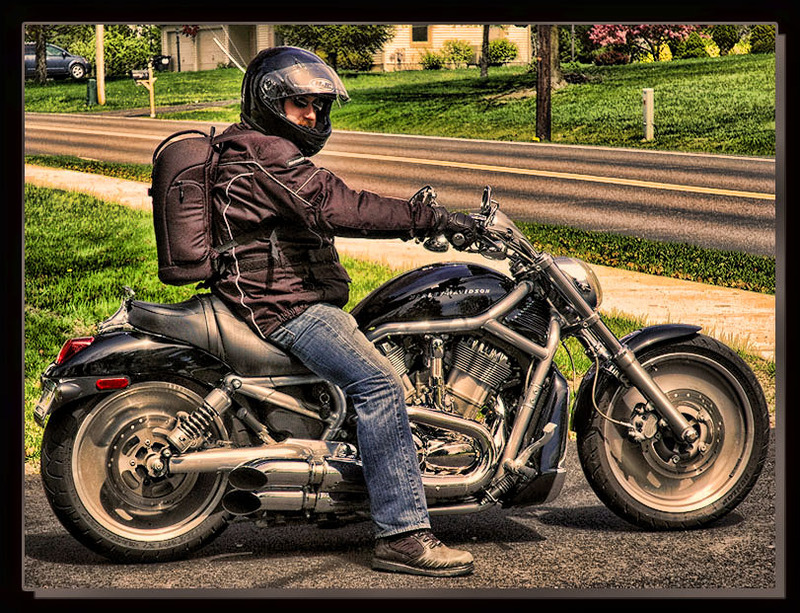 I really enjoy testing them, as they make a great quality bag. See ya soon!